As the healthcare industry moves from payment for volume to payment for value, the focus of compensation design has become more sophisticated. It is moving away from the “pick a percentile” method used to determine the productivity incentive rate per wRVU and adding other components on top of the productivity incentive, and beginning to focus on the true alignment of pay and productivity, while realizing that pay, per market data, is total cash compensation, which includes all other forms of compensation, not just productivity incentive compensation. Historically,the practice of hospitals and health systems was to create productivity-based physician compensation using a specific percentile rank to set the productivity incentive rate per wRVU based on market data from various physician compensation surveys (e.g., 40th percentile, 50th percentile, etc.). This method is starting to show its faults, as we begin to see that the market data demonstrates this method does not always work in aligning compensation with productivity. One common misconception is that a rate per wRVU at the median causes near perfect alignment between productivity and compensation at all levels of productivity. While this is somewhat true for some specialties, it is not true for all specialties. For the majority of specialties, we see rates per wRVU above the median, causing alignment at low levels of compensation and productivity, and rates per wRVU below the median causing alignment at high levels of compensation and productivity. In these cases, a rate per wRVU at the median could result in over-compensation at higher productivity levels. To illustrate, we have calculated compensation using the median rate per wRVU for two specialties, geriatrics and hematology/oncology, at various percentiles; 25th, 50th, 60th, 75th, and 90th. Table I shows the resulting compensation for the specialty of geriatrics using a rate per wRVU at the median. Table II illustrates true alignment at the median using the specialty of hematology/oncology.As shown in Table I, when multiplying 25th percentile productivity by the median rate per wRVU, 10th percentile compensation results. At 75th percentile productivity, resulting compensation is at the 83rd percentile. This example demonstrates an inverse relationship between productivity and the rate per wRVU. As productivity increases, compensation outpaces productivity from a percentile perspective. Thus, applying a median rate per wRVU in this instance could result in overcompensation at high productivity levels. Another perspective to consider regarding alignment between productivity and compensation is to compare compensation and productivity at the same levels/percentiles and to benchmark the resulting rate per wRVU. When looking at specialty data from this perspective, we find that in some instances at lower levels of productivity and compensation, a higher rate per wRVU causes alignment between pay and productivity. As compensation and productivity increase, a lower rate per wRVU is needed to create alignment (see Table III).In this example, the compensation that results from 25th percentile productivity, multiplied by a median rate per wRVU, is 25th percentile compensation. At a 60th percentile productivity, the resulting compensation is at the 61st percentile of market data. And, at the 90th percentile productivity, the resulting compensation approximates the 89th percentile. This example is a true example where alignment between compensation and productivity is achieved by using a median rate per wRVU. One contributing factor to the uneven increase of compensation and productivity is that no compensation model is the same, and not every physician producing 60th percentile wRVUs receives 60th percentile compensation. The strategy for setting physician compensation is different across the industry. Further, there are a variety of circumstances surrounding a physician’s work environment and the associated compensation and productivity that can result from such.Table III shows that the TCC per wRVU that results from 25th percentile compensation and productivity approximates the 67th percentile. As compensation and productivity both increase to the 90th percentile, the TCC per wRVU rate approximates the 30th percentile. This shows that as compensation and productivity increase, the pace with which the two components increase is not equal; thus, creating potential downward, or upward, movement in the resulting rate per wRVU. 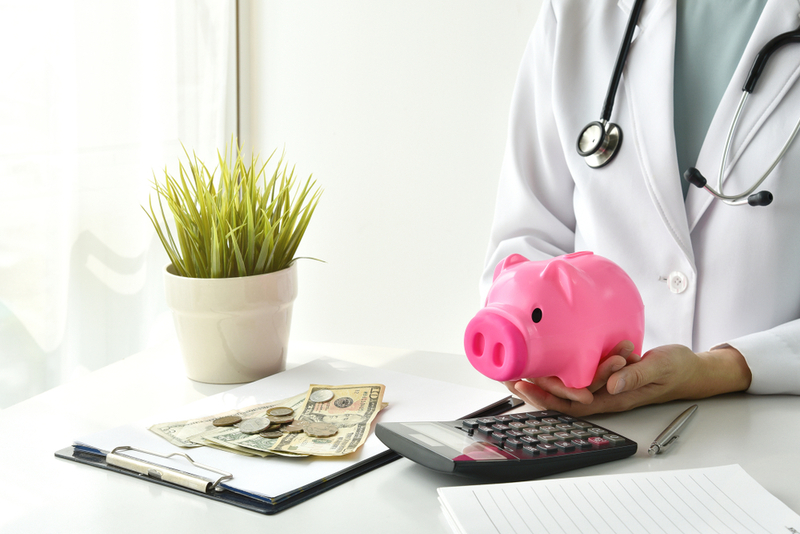 When reviewing market data for the development of compensation models, it is important to consider that not all physicians are paid based on productivity. In fact, physicians whose work is shift-based are often dependent on the census of the hospital, and productivity is not a factor in compensation. The location of a physician will also affect compensation and productivity. Physicians in rural areas may be less productive than physicians in urban areas, yet still require a similar level of compensation. Private practice physicians may report lower compensation levels than their hospital-employed counterparts. This disparity is due to the overhead expenses associated with the operation of their practice and/or a poor payer mix. Thus, the compensation reported in the surveys can be affected by a multitude of factors. It is necessary to take a multi-faceted approach to reviewing and understanding the data to ensure a correct application. Market data is merely reported data on what is currently happening in the market place. This data can be very helpful in developing compensation models, but over reliance on the data when developing compensation models can be problematic. We recommend that data users become educated on what the data represents and how it will affect the overall compensation model being built.